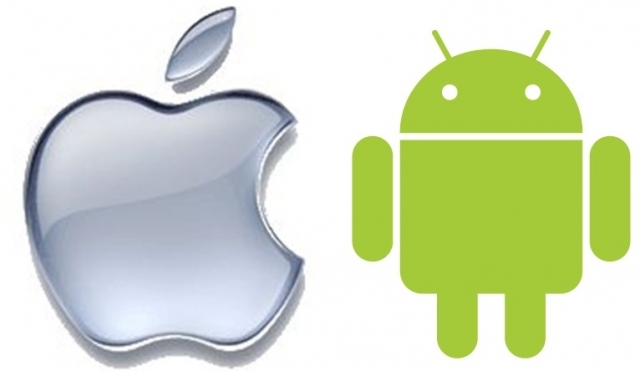 Android increases lead over Apple in US | Android Blast! According to Kantar, Android handsets increased their lead over Apple in the US during the latest reporting period. A year ago iPhone led Android by 2 percent (47% to 45%) in US marketshare, but those positions have shifted. Android has now taken over and leads iPhone 51%-43%. That's a six point swing in Android's favor and Apple has a lot to be worried about. With more than half (51.2%) of smartphone sales, Android realized 5.8% growth compared to the same period last year. iOS remains in second place with 43.5% of smartphone sales, down for a consecutive period, by 3.5% versus last year. Windows continued to make gains, up to 4.1% of smartphone sales. Some argue Apple needs to get a budget iPhone in the market, but I don't see that happening. Apple has never been about offering budget devices and why should they start now? They key for Apple is to offer various screen sizes. Face it, some people want phablets and Apple needs to cater to that segment of the market.